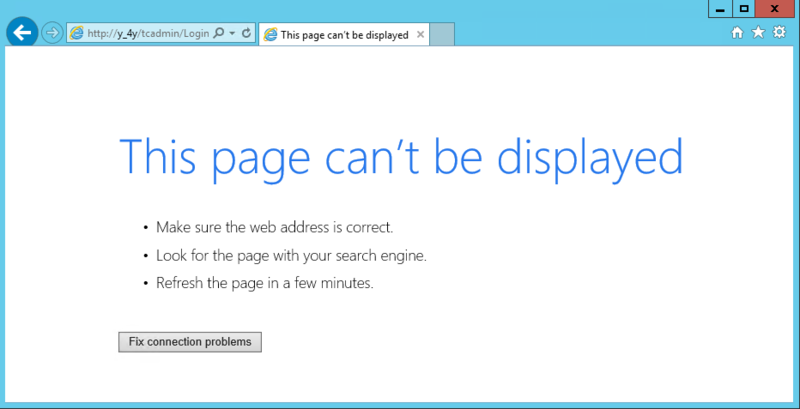 User gets “This page can’t be displayed” message when trying to access Teklynx Central BBUI (TCAdmin or TKCentral). This error only occurrs when using Internet Explorer or Edge. After successful login, the browser will pauses for about 5 seconds a responds with the message “This page can’t be displayed”. Alternate browsers (Chrome or Firefox) work without issue. Internet Explorer does not allow cookies for subdomain names that include an underscore (“_”). It appears Microsoft intentionally added this as a feature to IE to address a security flaw when authenticating through a website. This feature was added is in accordance with published Internet standard – RFC606 (1973) and RFC608 (1974). IE will not fully support the TC authentication on the BBUI when underscores are used in the URL. Thus any new TC server names or alias should not use underscores for IE to work. If the name of your server already has underscores, create an alias that does not include underscore in DNS server (or HOSTS file).